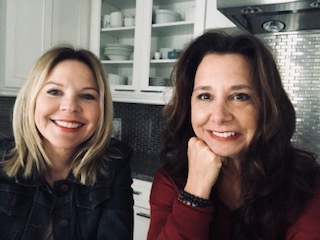 Cara Hewett & Tracy Zboril-Soul Happy , "We're out to heal humanity one subconscious mind at a time"
The question posed may be, if we aspire to open our conscious awareness, and we do so by practicing mindfulness, how can one do this without our minds? Furthermore, if not using our minds, then what are we practicing mindfulness with? What is really meant by this New Age term, mindfulness? According to one thought leader in the field of mindfulness, Jon Kabat -Zinn, the practicing of mindfulness, is simply staying in the moment during meditation. Doing so reduces stress and has many other physical and emotional benefits. Now, we tend to use the word mindful to describe many things; for example, being mindful of pedestrians when they walk in front of your car or being mindful of how many carbs are in a piece of bread. There are even books teaching mindful parenting. Westernized meditation uses the term mindfulness to explain the experience of quieting the chattering mind. Clearly, these practices have evolved into, and have been shaped by, a fast-paced, technologically driven culture desiring new ways of finding balance in a chaotic world. There are many authors of consciousness research, including Dr. Chopra, discussing the role of the energy and how it serves as a frequency for the mind; the mind is simply a conduit for energy. Energy in the form of measured frequency is outside of the brain structure, these waves of energy are everywhere. This is similar to a radio frequency; our minds pick up the information much like an antenna. We harness the energy, form it into a thought process and react. The brain is just a filter for the energy. The act of observing the thought without judgment or reaction, or the simple act of becoming aware of that thought, is, by definition, mindfulness. This awareness allows for the inward work, where we can touch who we are at our core-our soul. If this concept seems too elusive, maybe this visual will help. Think of an old Mr. Coffee machine. The water poured into the back of the coffee maker is representative of energy. Remember water is like an invisible radio wave. The water falls onto the coffee grounds, the coffee grounds represent our prior life experiences, our beliefs, our fears, and our happiest as well as traumatic life experiences. The flimsy, paper coffee filter is represented by the brain (cerebral cortex). It exists to function as a filter only, albeit necessary for the making of coffee. The water, or energy field comes in, immerses itself all over and into the coffee grounds (prior life experiences) sits a little while and then low and behold, coffee comes out. (thoughts) Of course, it happens instantly. All of these things must occur in order for coffee to be made, all of the parts must happen in sequential order- water, coffee grounds, and filter. Let’s put the coffee making metaphor and mindfulness practice into a context. Mindfulness practices would ask us to acknowledge the thoughts, or finished coffee, observe it, and most importantly do not judge it. It’s just thoughts, in the form of energy. We could even refer to those irritating, unwanted thoughts as old, stale, diluted coffee. In other words, we are not our thoughts, we just use our minds to filter through the energetic waves we define as thoughts. We can choose to act on them or as the mindfulness philosophy would have us do, just observe them. Here’s the kicker, when we become the observer of our negative, discouraging thoughts, rather than the judge or critic, we become objective, less reactive. This is why I believe Dr. Chopra referred to the word mindfulness as a terrible description of what actually occurs. When one becomes the observer, then one is not filling the mind with thoughts. In essence, it is just the opposite, we are practicing mindlessness, and that, according to the ancients, is where all the magic can happen. Tracy has been in the field of psychotherapy since the 80s, practicing in various genres including grassroots in-home therapy, in-patient psychiatric hospitals, out-patient clinics, therapy within a public school system, and almost 20 years in private practice. In more recent years, her focus shifted to the mind-body-spirit connection and she started exploring and studying new modalities including integrative models, transpersonal psychology, human consciousness, hypnosis, along with new advances in neuroscience and the energetic field of quantum physics. As passion for this knowledge expanded, her desire to change her clinical focus resulted in a collaborative effort with her like minded colleague, Cara Hewett, and the Soul Happy Technique was developed. This technique uniquely combines all these various fields of study. Cara has been in the field of psychology since the late 80s. Her experience includes in-patient psychiatric hospitals, mental health agencies, private psychotherapy practice, as well as teaching and counseling at the university level. She is trained in various therapeutic modalities including EMDR and hypnotherapy. Her understanding of behavior from a transpersonal perspective led to forming a mind, body, spirit center which offered classes and workshops in personal growth. Her passion continues today with further emphasis involving theoretical approaches in the field of psychology, metaphysics, neuroscience, and the study of human consciousness. The Soul Happy Technique developed with her colleague, Tracy Zboril, was researched and developed based on the latest discoveries in these fields of study.